Saying it’s been a great ride for Chris Davis the past few weeks is an understatement. 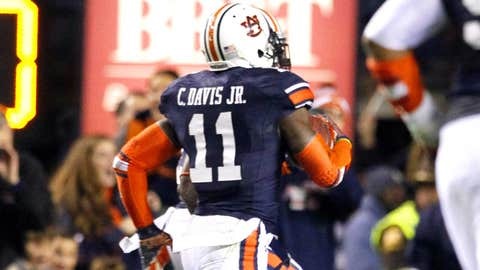 The Auburn graduate had the best moment of his athletic career when he ran the game-winning touchdown back on the Crimson Tide at the Iron Bowl. The cornerback turned into a celebrity overnight and ended up signing autographs for fellow classmates and getting Twitter love galore. Saturday afternoon was Davis’ graduation, and while he was getting recognized for his degree in public administration, the amount of noise he got from the crowd was nuts. Can’t say he didn’t deserve it. Check it out for yourself.